If you have been arrested and charged with Driving Under the Influence or Driving While Intoxicated (both are the same thing in New Jersey) in Bordentown, New Jersey, you need to inform yourself of what outcomes and penalties exist. The most important decision you will make is choosing the right defense lawyer to represent you in your case. A DWI conviction carries mandatory license suspension, thousands of dollars in fines/surcharges and possible jail time. With these penalties hanging over your head, you would be well-advised to speak with an experience Bordentown DUI attorney about your options. The DWI Trial Attorneys at Proetta & Oliver understand and appreciate the serious consequences that a DWI can cause. Our firm has successfully represented hundreds of clients against DWI charges throughout New Jersey. Firm partner and former New Jersey Deputy Attorney General, William C. Fay, IV, handled various cases on behalf of the State’s top attorney that involved driving while intoxicated issues. While with the Division of Alcoholic Beverage Control, Mr Fay became well-versed in the intricacies of alcohol consumption and its effect on drivers. If you would like to speak with a Bordentown DUI attorney, please contact our at (609) 850-8284. I Was Arrested for a DWI in Bordentown Township, What Should I Do? While Bordentown’s population only hovers around 4,000 residents, major roadways like 130, 206 and 662 bring a large amount of commuter traffic. This is a primary reason for the nearly 250 DWI charges filed by Bordentown Police in the past 24 months. 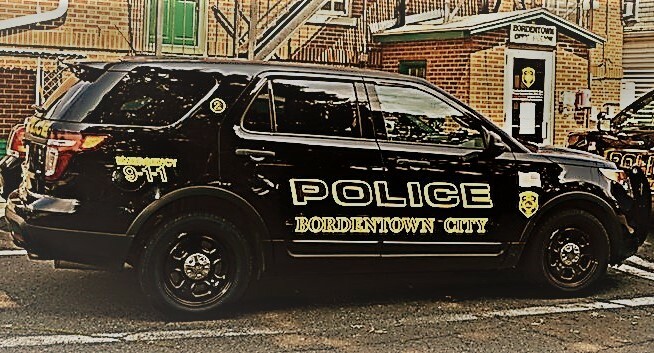 If you are stopped for driving while intoxicated in Bordentown then you will be required to go to the Bordentown Municipal Court and appear before the Bordentown Municipal Judge. If you are appearing without an attorney, you can expect to spend a large portion of your day waiting for your case to be called. Moreover, you can expect to have multiple court dates before your case is resolved, thus causing a strain on your work and personal life. It is always well advised that you hire a defense attorney well in advance of your court date so you can be prepared when you go to court. If you have been charged with DUI, Refusal, Leaving the Scene of an Accident, Driving While Suspended, Second Offense DWI, Third Offense DWI or Endangering the Welfare of a Child, contact the Bordentown Criminal Defense Lawyers at (609) 850-8284 for an immediate and complimentary consultation. Charges for Driving While Intoxicated cannot be plea bargained in New Jersey. For this reason, you will find it difficult to get a dismissal or downgrade of your charges without an experienced DWI attorney by your side. To make matters worse, these cases are often pushed along before they are ready to be resolved in accordance with the Administrative Office of the Courts (AOC) directive requiring that DWI cases be resolved within 60 days of the arrest. Without competent and experienced legal counsel, this can be you at a severe disadvantage. Our firm has made it our mission to zealously advocate for our clients and defend the constitutional rights of the accused. Our office can be reached 24/7 for your convenience because we understand that these types of matters are not limited to a 9-5 work schedule. For an immediate consultation with an attorney, please contact our office at (609) 850-8284 today.